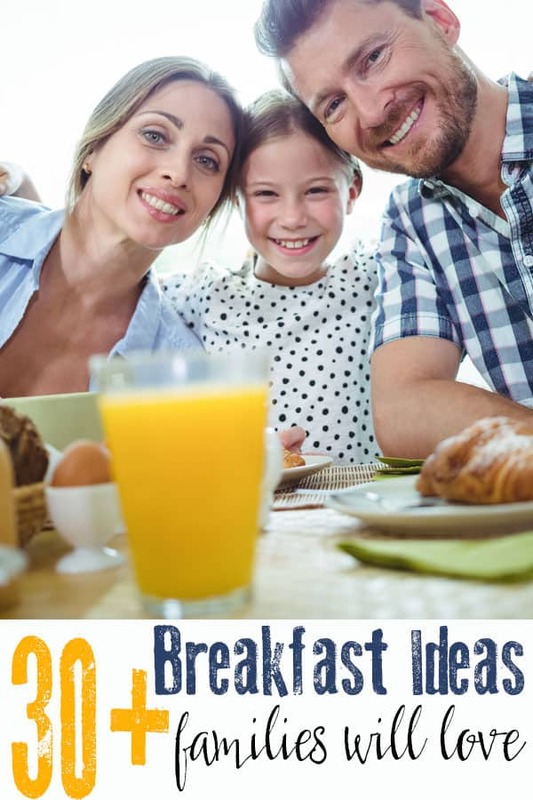 There is no doubt that breakfast is the most important meal of the day, without your kids are unfocused, hangry and their brain just doesn’t work as well. 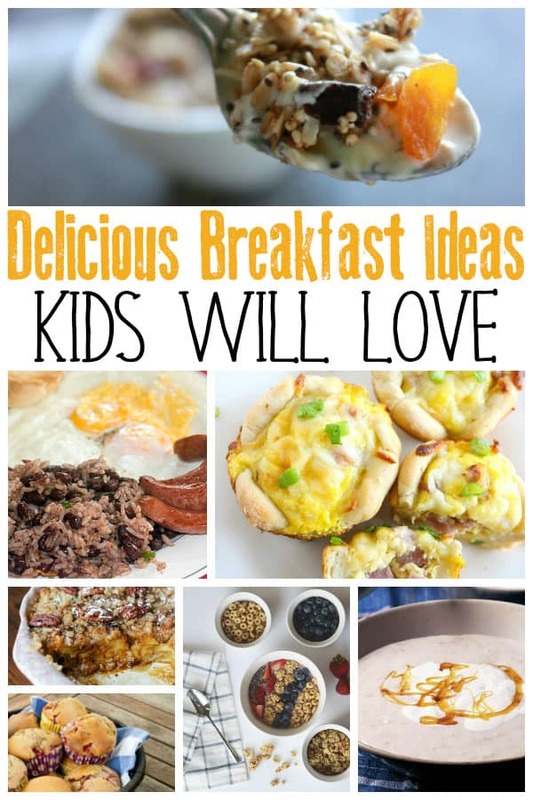 As we gear up for a new school year, I wanted to share some of the Non-Cereal breakfast ideas that we have been trying with our kids. 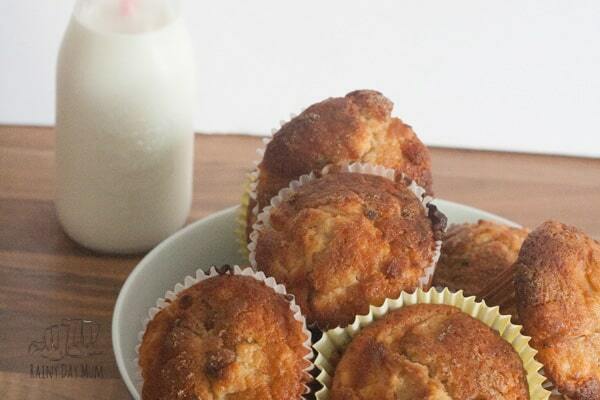 These Simple and Easy to make breakfasts are perfect for providing your kids with enough energy to last through to break or lunch time. And they will also fill you up too. 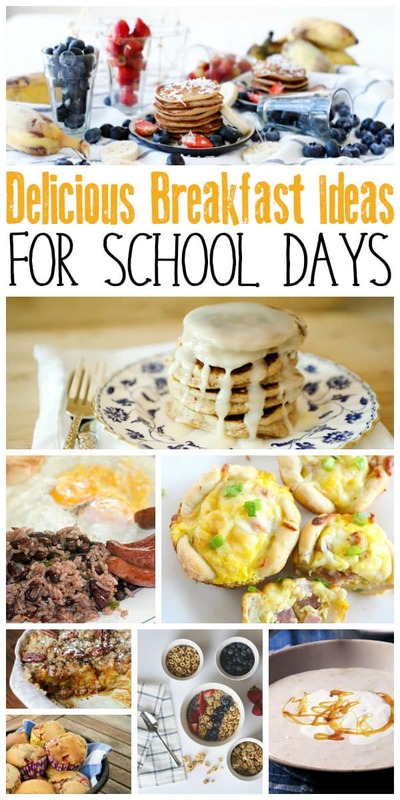 So here we go some breakfast ideas for school days that kids will love. Our mornings start early here – 6am is consider a lie in and when the kids are still asleep at 6:30 it’s a minor miracle in our household. We’ve adapted but now with both J and T at school for long days having a breakfast that keeps them filled up for the morning until snack time (sometime around 10) is essential. Whereas when they were toddlers cereal was a great food for them they have steadily gone off eating cereal and now most mornings when I am in a rush they end up with toast or some yoghurt it’s not exactly filling them up and keeping them going and ready to learn for the day so we’re changing things up and I’m sharing my breakfast ideas to inspire you as well making sure that your kids have the fuel that they need to last the day at school. Start off the week with some creamy scrambled Eggs from Brokeass Gourmet and toast, add extra’s into your scrambled eggs to make it even more tasty – I loved adding chopped fresh tomatoes and onions into mine when I lived in Costa Rica really adds a little extra to your breakfast. A totally English treat Crumpets – they are deliciously doughy and smothered in butter and honey are one of my favourite breakfast treats – we’re swapping the honey for some jam and I’m going to give a go at making some using this delicious recipe from Julie Takes Photos. Whether you make plain pancakes or get adventurous like these gorgeous Cinnamon Bun Pancakes from Baked Bree pancakes are a fun breakfast for your kids – served with fruit and yogurt you add some healthy options in the mix as well. A camp food for me, but why not bring some French Toast (or Eggy Bread) into a regular breakfast it brings back so many memories of sitting outside tents eating breakfast on my lap before going off for the day. Back to traditional warming breakfast of porridge oats, we’re big fans of Goldilocks and the 3 bears and having porridge we pretend we are Goldilocks trying each of them to see which we prefer each time. I love this recipe from BBC Good Food for perfect porridge. 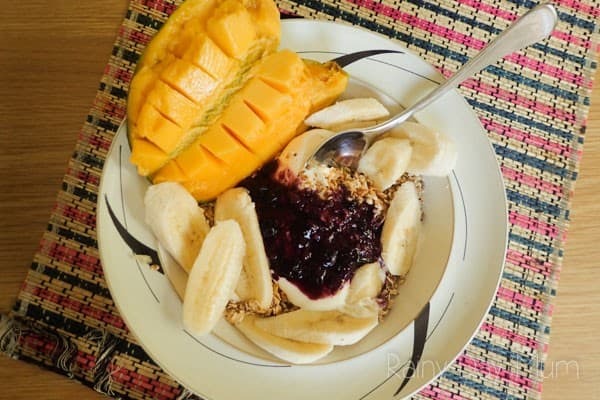 Still, one of my favourite summers breakfasts Greek yoghurt with sliced fruit and drizzled with honey – I remember sitting on a beach in Greece and eating it for the first time and loved it ever since you can make it your own with added extras like this recipe. Save a little time and use your slow cooker or crock pot, or even some old jars and create some delicious breakfast ideas. 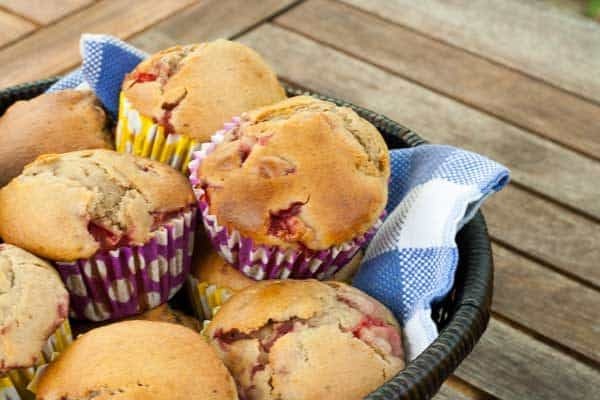 Muffins are another favourite – make ahead, freeze if you can remember and then get out, heat up and enjoy when you are ready. We are including affiliate links to our favourite Breakfast Supplies to make your mornings easier. I can’t function without coffee in the morning and this Retro Family Sized Breakfast Station is ideal for me and the kids. I can get 4 cups of coffee set up some toast and scrambled eggs and be ready to go with everyone helping themselves. Sometimes breakfast has to be on the go and the honey granola recipe above, plus some greek yoghurt and fruit is ideal in this Breakfast to Go container, it won’t spill and it goes in the dishwasher or fridge. Looking for even more inspiration for Breakfast ideas then Everyday Superfoods by Jamie Oliver has some fantastic breakfast recipes in although with families you may want to try Superfood Family Classics as we found more that the kids were willing to try straight off in this book. Busy Moms, lead busy lives and it makes it so much easier to sit and plan ahead. 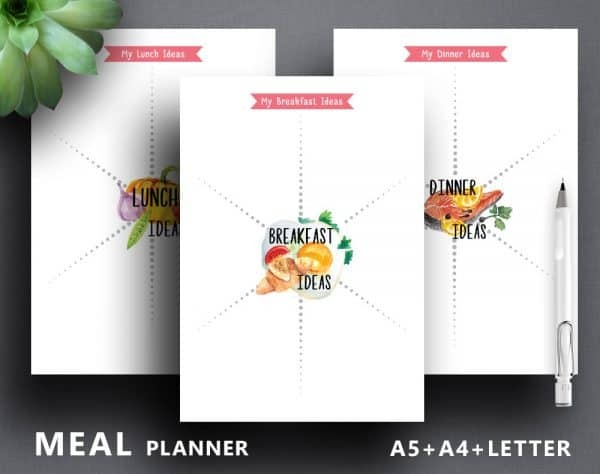 I love this Meal Planner Printable that you can get instant access to to put in a binder and use weekly to help you shop and feed the family.